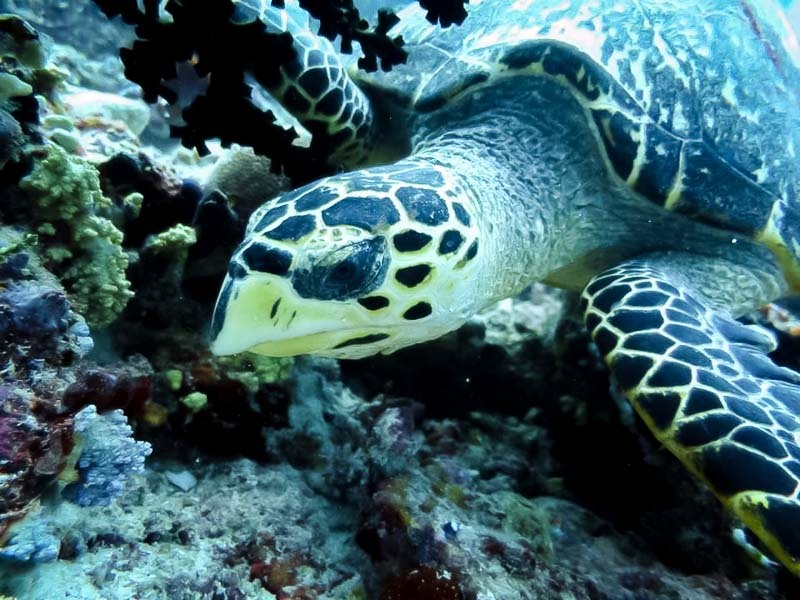 During May, we received over 50 submissions to our Turtle ID programme, mostly via our Facebook group. 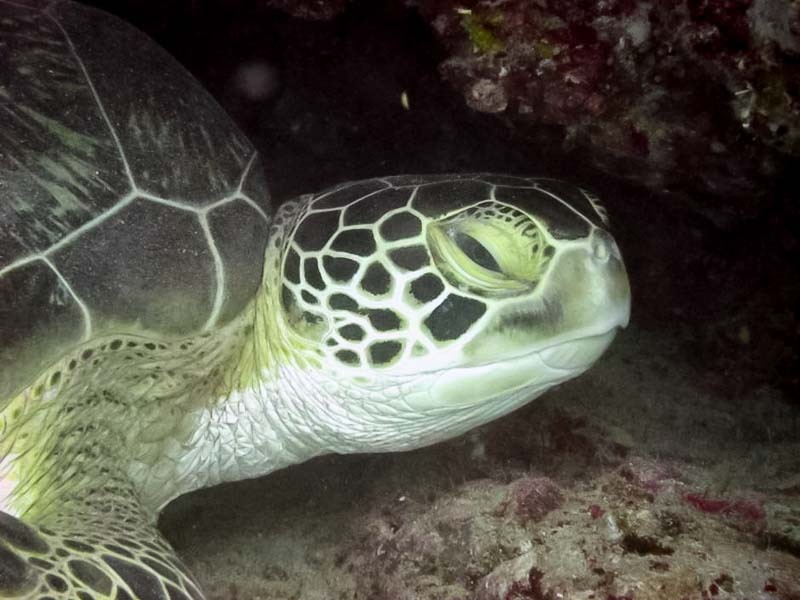 From these photographs, we identified 20 new individual sea turtles (14 Hawksbills and 9 Greens), plus further quality photos representing 23 other turtles already present in our database. This takes our total number of identified Hawksbills to 946 and our Greens to 143 individuals. Some submissions allowed us to create facial codes and positively identify individuals that had been initially sighted many months ago (such as CM0142, with 5 previous sightings but until now, no clear images of his right facial pattern). During May, the Maldivian Clownfish (Amphiprion nigripes) laid fewer eggs than usual, but our tactic of providing a variety of enriched foods has been successful in lowering the number of eggs being eaten by the parents. Our two Clark’s Clownfish (Amphiprion clarkii) breeding pairs produced more than 1300 larvae this month, and we saw a total of 31 larvae successfully metamorphosing into juveniles at day 14-16 (a record for us). After 29 days of rearing in our Fish Lab, the juveniles obtained are now 1-2cm in length after successfully feeding with Selco-enriched Rotifers (10 rotifers/ml) and then 1-day enriched Artemia (from day 9). We are also finding that skipping the algal culture food stage does not adversely affect growth but saves Lab time and resources (experiments on-going). Throughout May, we have lowered our production of algae and Rotifers, maintained growth of Artemia, and caught 60L of Mysis species (another kind of zooplankton) from the ocean, to freeze and keep as supplementary food for the Seahorses and Pipe fish. The work on our new I3S Dolphin ID database is progressing nicely. 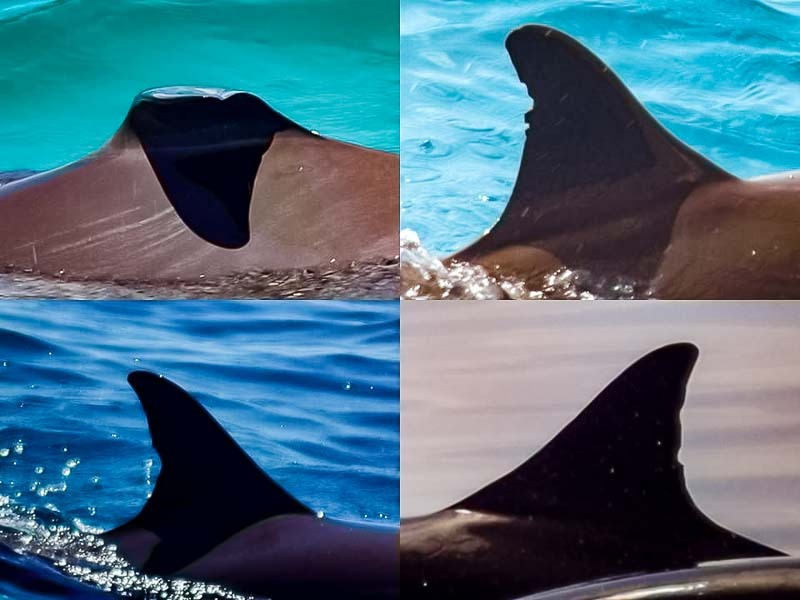 Any blurry photos, as well as individuals with no recognisable markings on their dorsal fin are excluded, as it would not be possible to confidently distinguish between those individuals. Re-sightings are recorded in an excel sheet and added to the individual dolphin’s folder, and lower quality photos are saved for future comparisons. We added 11 new dolphin individuals to our database this month, giving a total of 31 Spinners (Stenella longirostris) and 10 Bottlenoses (Tursiops truncatus) registered and positively identified in our Cetacean ID database. We have also started assigning names to some individuals. Our anemone project started in February, when we bisected 5 original wild specimens to give 12 individuals. During May, we focused on 7 of the anemones, growing them outdoors in sunlight and feeding with enriched Artemia at the end of each day to promote activity of their zooxanthellae (as they are photosynthesising during the day). Recovery from bisection took 56-90 days, with the anemone recovering its foot and then its mouth (up until then, unable to feed properly), and we are regularly measuring and photographing our specimens. 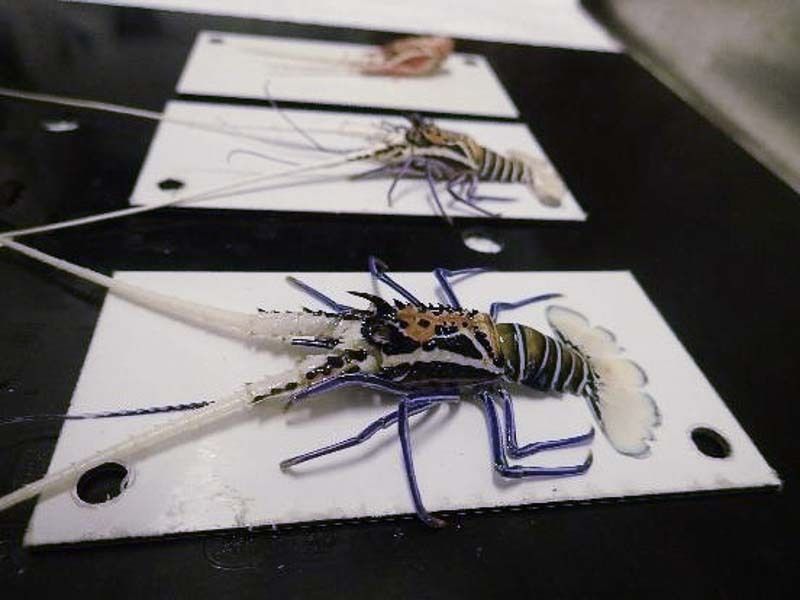 Our juvenile lobster (tank #35) is active during feed times, and has undergone a fifth moult and grown 1cm in one month. Our lobster larvae hatched on 2 May; we released most of them into the ocean, but kept a tank (#37) and three full flasks in our Fish Lab to try various growth experiments. We successfully kept one batch of larvae alive for 26 days (development stage II) by using a low rate of water exchange and without additional food, but we still have much to learn about lobster aquaculture. 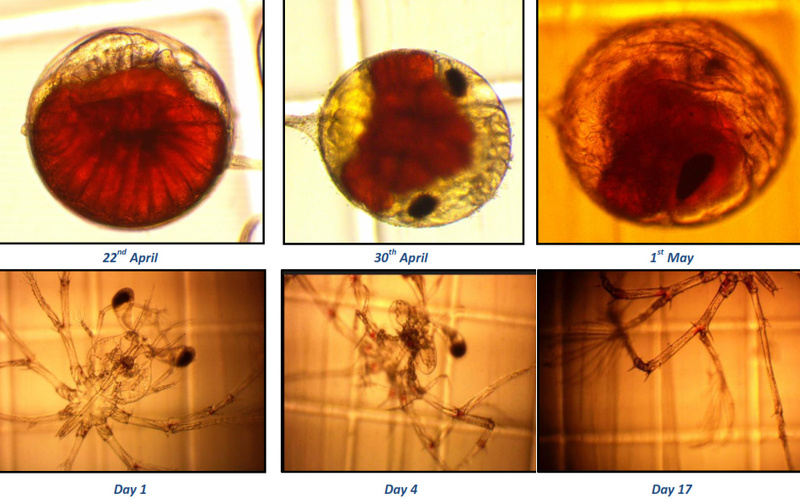 Development of lobster embryos and larvae. Note the red yolk sac during the embryo stage, and the the development of the biramous appendices during the larval stage (Day 17).